Visit The Blue Manatee in June! 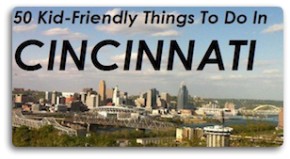 the blue manatee is one of those Cincinnati places that you can’t help but love. I’m not putting down the mega-book stores at all, but the staff of blue manatee just can’t be beat. They love reading, they love kids, they love getting kids excited about reading. The shoppe is quaint and delightful – I simply adore them. Of course it is a great place to spend a couple hours on a random Tuesday, but they also offer terrific special programs throughout any given month as well. manafoodies cooking club Saturday June 12th 1-2pm: Come and cook up some fun at blue manatee decafe. This month’s recipe is mock sushi! (How fun is that?) Ages 5-9; $4 per child. Pre-registration is required. Paint with your Pa! Saturday June 20th, 3-4pm Come out to blue manatee on Father’s Day to make and paint a birdhouse with your favorite dad! Ages 3 and up; $5 per pair. Pre-registration is required. Parker and I did the Mother’s Day version of this back in May and it was so much fun. 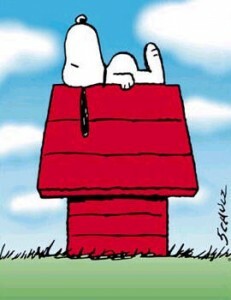 And then on June 26th, the world’s most famous pooch comes to town – SNOOPY! Snoopy is timeless of course, but with the launch of King’s Island’s Planet Snoopy, he’s bigger ‘round these parts than ever! Imagine the thrill of meeting THE Snoopy! He’ll visit Saturday, June 26th from 1pm-1:30pm and in addition to storytime, you can get your picture with the celebrity himself! the blue manatee has something new going on all the time, so visit their site and get on the email list so you don’t miss out on the fun! Oh, and PS – while you are there visiting the best bookstore in the city, stroll down and visit the best ice cream in the city: Aglamesis! You’ll thank me. bitt mre than just your articles? I mean, what you say is valuable and everything. be one of the very best in its field. Very gpod blog! 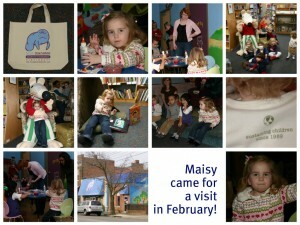 So glad you featured the Blue Manatee – this bookstore is fantastic and they really have so much to offer for families. Amy — Thanks for sharing this. My boys always enjoy going to the Blue Manatee and like you… we can’t resist stopping at Aglamesis afterwards, lol.